Over the past years the Hilltown CDC has received several CITC awards which total $420,000. In 2014 Hilltown CDC received an allocation award of $60,000, in 2015 we received an allocation award of $60,000, in 2017 we received $150,000 and in 2018 we applied for and received another $150,000. In many cases we have used these allocations to leverage other funds to assist in implementing our CIP. Hilltown Community Development completed construction of its Goshen Senior Housing project in June of 2018. The agency partnered with the town of Goshen over an eight-year period to plan and develop this project which includes ten housing units for seniors sixty-two years and older who have low incomes. The project reached 80% occupancy in June and achieved full occupancy the following month, in July. These housing units are located in the town center, in walking distance to the Town Offices, Town Hall, Council on Aging, Food Pantry, Library, Congregational Church, Post Office, and general store. Hilltown Community Development is currently investigating the feasibility of a project in the town of Williamsburg to purchase an existing commercial building and convert it to eight to ten units of housing for low-income families and individuals. The agency is also evaluating conditions at a number of other properties which are in decline and which present challenges to local communities. These include fifteen housing units in a former school building in the town of Chester which may require redevelopment in the near to medium-term future, a currently unoccupied residential structure in Chester Center which could provide five to seven units of affordable housing for low-income households, and a large vacant mill complex in the town of Russell which could provide up to 40 units of affordable housing. As the hilltown region’s local affordable housing developer, Hilltown Community Development is positioned to work with local governments and agencies to devise solutions to these and other development challenges. In the Summer of 2018, we hired a part-time Economic Development Coordinator who is also the Program Director of the Southern Hilltowns Adult Education Center. In 2018 we began a partnership with the Southern Hilltown Education Center to provide a variety of small business educational classes. Some of the classes offered: Excel, Intro to Quickbooks, Website Workshop, Marketing your business and products, Social Media for Business, Business plan workshop, Internet safety and more. In addition, we also provide one-on-one technical assistance and specialized technical assistance for agri-business. The Economic Development Coordinator is taking the lead on the production of the 2019 Hilltown Business Directory. In 2018 we upgraded the Hilltown Business Directory website to make it more user friendly and more useful to our communities as these communities begin to offer “last mile” Internet services for their households. The annual Hilltown Business Directory lists over 300 small businesses across 22 rural towns within our region. Annually, we apply to the MA Growth Capital Corporation (MGCC) to support SBTA service and are waiting for an announcement of our award for this fiscal year. Our partnership with the Jacobs Ladder Business Association continues and we continue to support the economic success of our local businesses. Our work has consisted of designing and producing a Hilltown Destinations map, now in its second edition. The map illustrates the local business locations, places to recreate, lodging, etc. Our goal is to increase economic activity in the area and market some of our unique assets to a larger customer base. As part of our business program, we started in 2018 a Volunteer Income Tax Assistance service. 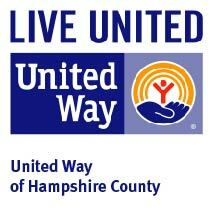 In 2019 will be the second year of a three-year commitment from the Berkshire United Way. We provide free tax filings for households with up to $54,000 of annual income. We will be serving 21 rural hilltowns with this service. For the tax filing year 2017 a total of 67 Federal and 67 state returns were filed through our Hilltown VITA program, which yielded a total of $83,929.00 in refunds. Of this number, $54,919 reflected federal refunds, and $29,010 in state refunds. Of those clients that utilized Hilltown VITA services, 38% had incomes of $9,999 or less, and 35% were 65 or older. Clients came to our VITA tax prep sites from across Berkshire, Western Hampden, Western Hampshire, and Franklin counties. A primary goal of ours over the next two years is to continue to promote rural economic development in the Hilltown region. We are meeting with several towns to develop a regional approach to economic development. Our goal is to find ways to support the town’s financial needs and promote the local economy through eco-tourism, agriculture, arts, culture and the trades. Our Keep Farming in the Hilltowns program continues to focus on three threads – technical assistance to farmers, advocacy and exploring shared infrastructure to expand local food markets, and mechanisms to increase fresh local food access to low income residents and isolated seniors. We are investigating the possibility of a Hilltown Regional Wood Bank and are in the early initial stages of discussion. Wood Bank basics: What is it: A program with central coordination for each participating Hilltown to have cut, stacked or binned, and seasoned free firewood for residents in need who rely on woodstoves for primary or supplemental heat. How it works: Part-time coordinator paid by grant funding works to (a) secure donated hardwood, (b) organize volunteers to cut, split and bin or stack, and (c) approves applications for eligibility of recipients, issues vouchers and coordinated pickup. Mobile Market: Our work during this phase has been planning and community engagement to create the conditions needed to encourage participation and buy-in from the community. We identified key people, farmers, businesses and agencies to engage and solicit input from regarding our project and process. Hilltown CDC retained Peter McLean, a consultant who operated a farm for many years. Peter’s background in agriculture, group facilitation and business planning are the perfect match for our project. Cooperative. Our plan from our proposal was to prioritize the Creamery as our primary partner in food access and distribution. The Creamery is a member owned Coop that Hilltown CDC assisted when the business model was changed from private ownership to a coop. We also helped then secure a $500,000 loan for renovations. Based on the history of the region and our partnership with the Creamery over the years, we are adamant that this establishment must be part of food initiative in the Hilltowns. The Creamery hired a new manager recently named Karl who we met with top discuss the project and a partnership. We discussed the current financial position of the Creamery which confirmed our suspicions regarding a very tight profit margin. It was agreed upon that this project could help the Creamery as long as we are sensitive to the conditions and cycle of business there. • Creamery manager and staff – discussed mobile market concept, subsidy for food and delivery, etc. • Identified a couple locations where food can could be stored and distributed. One in Chesterfield and one in Chester. We have attended planning meetings at CES and have contributed to the country-wide concept and worked together to develop and evaluation tool to be used post survey and to evaluate the first phase of our work. We agreed that we should design an evaluation tool that can analyze the collaboration as a whole with the ability to break out the sub-regional differences and/or similarities. We are designing surveys to be administered across our Hilltown region to consumers and farmers. Our goal is to answer the questions below. • What food choices do Hilltown residents make that they would prefer to not make? • How do those choices currently impact the economics of the Hilltown food system? • What kind of food system improvement would mitigate the barriers Hilltown residents face in acquiring food they want to eat in the way they want? • How can we strengthen the local Hilltown food system? • Would a program that provides assistance to food insecure residents have a negative impact on the existing food system in the Hilltowns? local food system and also increase access for the food insecure population? It is understood that implementing a mobile market and building a sustainable food system in the Hilltowns will be a multi-year effort. Our agreement with the Mobile Market work group is to use our MDAR funds to match the HH funding in order to complete this phase of our work by 9/19. Our next steps are to continue to engage the community, finalize the survey and administer it across targeted populations. - Formulate region-wide alternative food distribution system implementation plan (May 2020). The Hilltown CDC is in its fifth year successfully securing $1.7 million annually in HUD Continuum of Care funding for the Three County region of western MA. We conduct a Point-In-Time count of homeless families and individuals in January annually and we partner with DHCD to conduct an annual unaccompanied youth homeless count. We provided technical assistance to several agencies who provide homeless assistance in the region. We review invoices for each grant monthly and conduct an annual monitoring site visit to evaluate both the program staff and the financial practices of our subrecipients. 2018 saw the launch of a Coordinated Entry system for the three-county region which includes using a common assessment tool across agencies to prioritize the most vulnerable homeless individual and families in need of housing. This new prioritized, shared list is reviewed weekly at sub-regional case conferencing meetings held in each county to match the most vulnerable to opening in housing units and to create an open system across agencies for use of housing resources. The other large piece of work this year has been around data warehouse and data integration initiatives to meet the increased demand for data reports on state and federal levels. One of our largest providers of homeless services operates in a separate database and it has been increasingly hard to manually integrate regional data to meet our reporting requirements. Working with that agency, we are in the process of purchasing data integration software from Green River Solutions to warehouse our collective data and allow us to run reports efficiently. Many contractual and privacy protocols had to be worked through in order to make this happen. The Senior Services offered by the Hilltown CDC continue to be a high need in the hilltown region and is a high priority for our agency. The region’s senior population is growing faster than the state average and rural isolation adds to the difficulty that elders have in obtaining access to needed services. The Hilltown Elder Network (HEN) provides home chore assistance to an average of 85 income eligible seniors (89% below 50% AMI) at any given point in time. Our latest statistics show that 63% of the seniors we serve are over the age of 80, and 37% of the seniors live in the communities (Westhampton, Huntington and Williamsburg) where we receive no Community Development Block Grant funding. To provide services for these seniors we must rely on small grants, fundraising and CITC funds to ensure we can continue to meet the needs of these elders. In FY 18 (ending 6/30/18) the cost to provide services to the three underfunded communities was $40,557. The responses to a recent survey sent to elders receiving HEN services, 100% responded good to excellent on their overall satisfaction on the services received by the HEN program. The Hilltown Community Development has been successful in obtaining CDBG and other resources for this population for the HEN Program in six other communities. In addition we continue to provide other services including housing rehabilitation, specialized in-home nursing assistance through the Health Outreach Program for Elders (HOPE), and the Hilltown Food Pantry, and provides referrals to other services as needed. The senior population is a priority in our mission. The Hilltown CDC manages the work of the Hilltown Regional Transportation Council – advocating and coordinating transportation work in our rural region. In addition, we operate a senior van serving five of our towns to provide medical rides, shopping trips and a limited number of social outings. Planning initiatives include supporting and seeking to expand all transportation options in our area – promoting commuter ride sharing, advocating for expanded fixed route service, educating riders on fixed route options available to them, and advocating on the state and regional level for rural transportation. We do outreach and support for COA van programs outside our operating area of five towns and continue to push for cooperative, regional models of shared vehicles, shared dispatch and other efficiencies not currently allowed under RTA contract rules. We applied for and were approved for a 2019 Mass DOT grant to partner with our Councils on Aging to support, expand and assist their volunteer driver programs with tools such as group insurance, volunteer recruitment, training, CORI and dispatch assistance. We have completed our first year of operating in five towns with the Hilltown Easy Ride. We had a solid first year, giving 199 unduplicated riders 923 one-way trips. We expanded our grocery trip offering from one a week to twice a week with an additional trip to the local food pantry for those for whom this represents a large portion of their food access. We surveyed our ridership at our one-year anniversary and riders rated us 8 out of 10 for satisfaction with the service. Our drivers scored even higher with 100% approval ratings for courtesy, helpfulness and safety. Hilltown CDC has been promoting Arts and Culture programming for three years now as an economic and small business development tool as well as a community planning approach. Below is a summary of our most recent activities. • Hilltown Open Studio Tour took place in 2018 on June 23 & 24 and the 27 participating artists considered it a great success with reports of studio visitors ranging from 80 in one studio to 200 in another. We compiled visitor names and contact info collected to put together one shared mailing list. The average sale amount per artist was $800 with some going over $2,000 for the weekend. • Cummington Cultural District - We completed the application for an NEA Our Town grant and secured a pledge of matching funds from the Cummington Select Board. As part of the application process we attended numerous meetings with community groups and individuals on what they would like to see happen in the Cultural District. Strong partnerships and prioritized goals came from: Hilltown Arts Alliance, Cummington Cultural Council, Project Art, Hilltown 6 Pottery Tour, Northern Hilltown Councils on Aging Consortium, Friday Night Café at the Cummington Congregational Church, Cummington Community House, the Bryant Homestead and the Kingman Tavern Museum. The goals of each participant shaped the grant request. o While waiting for news of the federal grant, we are organizing to submit an application for the Massachusetts Cultural Council designation. • Hilltown Arts Alliance opened their fall show in our building: Portrait Exhibition featuring the work of 14 artists, including our first outdoor sculpture installation. The opening reception was on September 7th and attended by about 50 guests. The show ran through the end of October. • We have begun work with our partner for small business support, the Jacobs Ladder Business Association and the Hilltown Artisans Guild on a future holiday market for artists, crafters and small businesses. • We have hired a new part-time Marketing and Community Outreach Coordinator to help our agency do more ‘storytelling’ about the good work we do with press releases, social media, tabling at community events and fundraising campaigns. With her help we can do more promotion of arts and culture in our towns as well. • Leveraging our Rural LISC grant by planning and pursuing other state, federal and local grants as well as community fundraising for arts and culture initiatives. • Increased sales of art by increased venues such as promoting festivals, exhibits, markets and online visibility. • Using arts and culture to do community planning, bringing in diverse constituencies and focusing on economic vibrancy of the arts, serving the needs of seniors and young families. • Include small, locally owned businesses in festivals and markets in partnership with the Jacobs Ladder Business Association. • Offering discounts to artists and free pages for the Hilltown Arts Alliance and the Hilltown Artisans Guild in the Hilltown Business Directory. Our primary project related to Community Public Health is our walk audit and town center development project in the Town of Goshen. This project is engaging residents, select board members and town officials in a process to make the center of town friendlier to walking, biking and recreating. The following are outcomes of the various meetings. These gatherings began as a group of Goshen residents interested in increasing the walkability and access for all in the Main Street section of town. These meetings had 12 – 18 in attendance and the interest in improving the access to be active in our community and creative ideas for opportunity. Participants represented many of the Goshen town committees. Many members of the Walk Goshen Committee were encouraged by the Select Board to meet with the Planning Board to see if there may be an opportunity to work together to move forward in the direction of Complete Streets. It was at this meeting the idea of forming a Complete Streets Committee was proposed. As a result of this suggestion, a Complete Streets Committee was formed. This meeting with the Select Board was to share the interest and enthusiasm from the Walk Goshen Committee and gain support to create the Complete Streets Committee. The Select Board approved the forming of this new committee. The Complete Streets Committee was formed as a committee that would strictly focus on reviewing policies other area towns have implemented. We also needed to review the necessary guidelines and requirements and the review procedure in order to reach approval. The plan was to create a committee that had members who were new to being on a town committee, thus the Complete Streets Committee was born. The Complete Streets Committee spent many hours reviewing other policies, the needs of our town and the guidelines required for a policy. We drafted a policy that we felt best represented what we hoped we could accomplish in Goshen. This final draft was sent to DJ Wilson for review and input. Once we received word from DJ that the policy looked complete and ready for signature, it was presented to the Select Board for approval. The Select Board approved and signed this policy on Monday, June 18, 2018 per communication from Angela Otis, Select Board chair. The Complete Streets Committee spent time reviewing other town policies in order to create a policy that would meet the needs of the Town of Goshen. As a committee, we all needed to understand the details of the policy process and the expectation of key components the policy needed to contain. Conference call with Stacey from Walk Boston Program to discuss involvement in the Walk Massachusetts Network which is a way of connecting groups Walk Boston has worked with across the state so that each group can learn from one another on how to be most effective when advocating for walkability. The purpose of this meeting was to provide an opportunity for open discussion to better understand the concept of Complete Streets. Questions and concerns of implementing this policy were discussed. Meeting closed with all who attended in support of creating a Complete Street Policy for Goshen. Complete Streets Committee was tasked with creating this policy and performance measures within the policy. Hilltown CDC held its Annual Meeting in Goshen this year to showcase the senior housing development and the Healthy Hampshire work being done in the center of town. DJ Wilson was helpful in providing opportunity to have questions answered and concerns about a policy addressed. He provided ongoing support and review of our policy as the committee worked to create the final policy. Sarah Bankert/Dave Christopolis meetings: 10/25, 11/15/17, 1/8, 1/31, 2/26, 3/23, 4/27, 5/14, 6/15/18. This coordinating team met throughout the period of the project to review, plan and support the work being done. When needed Dave or Sarah attended community meeting and select board meetings to assist in describing the project and seeking input from Goshen residents and town officials. Planning meetings with Sarah Bankert: 11/8, 11/15 & 11/22/17, 5/14/18. As indicated, these meetings were to review communications and prioritize next steps. CJ Lammers from the Conway Landscape School contacted us about the opportunity to apply for the Goshen Planning Assist Grant. She had received notification that the application deadline for this had been extended and she wanted to make me aware of the opportunity. She had attended a couple of the Walk Goshen Committee meetings and had presented to us on how the school could assist us with necessary planning to support the many ideas. While there was not a lot of time to prepare the application. The application was completed by the deadline date of May 23, 2018. An award of $7,500 was provided. Hilltown CDC has been successfully implementing its Community Investment Plan and utilizing the availability of Community Investment Tax Credits. Hilltown CDC has received a total of $420,000 tax credits since the CITC program has been available. Our Board of Directors continues to be fully engaged in the CITC fundraising process and we have recruited several community residents who are continuing to spread the word on a regular basis. We have been working with a marketing strategy company (The Creative) that worked with management to update our marketing materials and provided a concise document (one sheet) as part of a marketing package. We also engaged the services of a fundraising consultant to provide senior staff and board members on fundraising engagement. With the funds raised through the CITC program we have been able to hire additional staff to help us with the multitude of programming we provide in our community. The latest positions are: an Economic Development Coordinator and the other is a Marketing and Outreach Coordinator. Both positions are part-time, and they are providing valuable services to the Hilltown CDC team and board. The marketing and outreach coordinator who is taking the concepts of the outsourced marketing team and updating our web based and printed materials. The coordinator will provide support on a continuing basis to both senior staff and board on all fundraising initiatives. Hilltown CDC has relationships with 4 community banks. Florence Bank has donated $20,000 annually and has taken advantage of the CITC incentive. Easthampton Savings bank has made a $10,000 CITC donation, with another $10,000 CITC donation to be obtained any day. Berkshire Bank Foundation gave $5,000 and $2,500; however they have not participated in the CITC donation. People’s United Bank has donated but has not taken advantage of the tax credits. We have identified additional banks that we will engage; Five College Credit Union, Greenfield Cooperative Bank, Westfield bank and United Bank. Cooley Dickinson Hospital continues to make CITC donations and in 2017 a made $10,000 donation through MHIC accelerator program who doubled the donation and took the tax credit. Another donation from Cooley Dickinson Hospital is in the works and they once again will send the donation to MHIC who will match 90% of the donation. In June of 2018 we negotiated a $200,000 donation. The Eleanor Schwartz Charitable Foundation awarded Hilltown CDC $100,000. This donation was sent to MHIC on Hilltown CDC’s behalf who matched 90% of the amount and claimed the tax credit as part do the MHIC CITC accelerator program. MHIC has done this with our local hospital twice as well, and another check is due to be sent any day. In 2017, we negotiated a tax credit investment from the Berkshire County United Way (BUW), the United Way opted to not participate in the CITC program. We have however utilized the overall investment of $18,000 to develop and implement a Volunteer Income Tax Assistance Program (VITA). A quick marketing campaign in November of 2017 netted a 48% return on the letters requesting a CITC donation. A new campaign is currently underway with the hopes of increasing the rate of return. As of the date of this application Hilltown CDC has $87,306 in unexpended tax credits, with several commitments already made and the funds will be received before the end of 2018. Our goal is to expend the majority of the credits before the calendar year ends. We are requesting $200,000 in tax credits in this application.